I have always enjoyed collecting natural and vintage elements for my vignettes for a while. I feel that the textures and colors add to the overall effect of any display. Every time I walk next to the table at the bottom of the stairs, I smile. 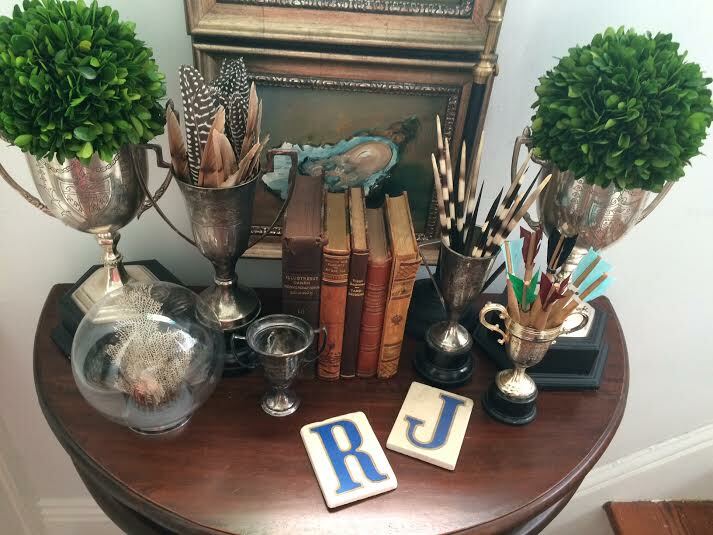 I love the collected look of the items on the table. 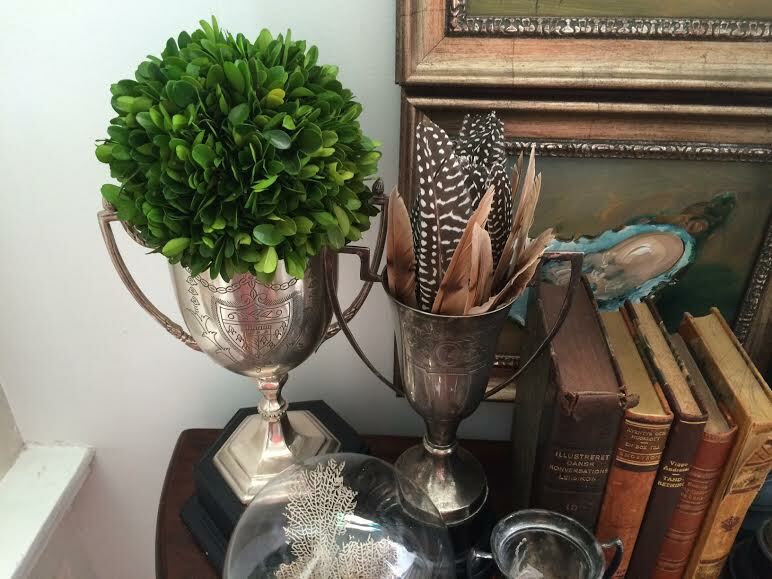 From the vintage leather-bound books to the silvered trophy cups, the vignette captures my love of bringing some soul to the space. 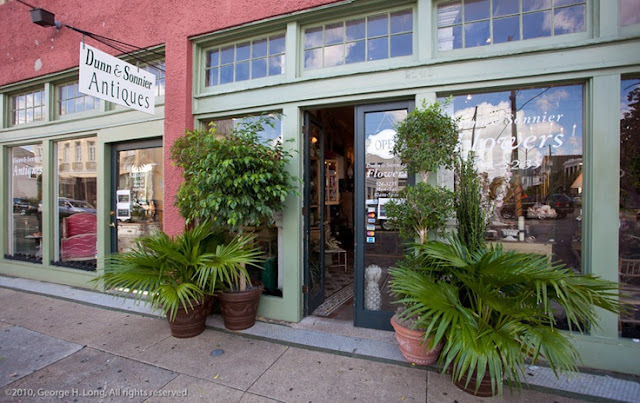 I recently found these quills while browsing the gorgeous Dunn & Sonnier shop on the corner of Magazine & Jackson Streets. 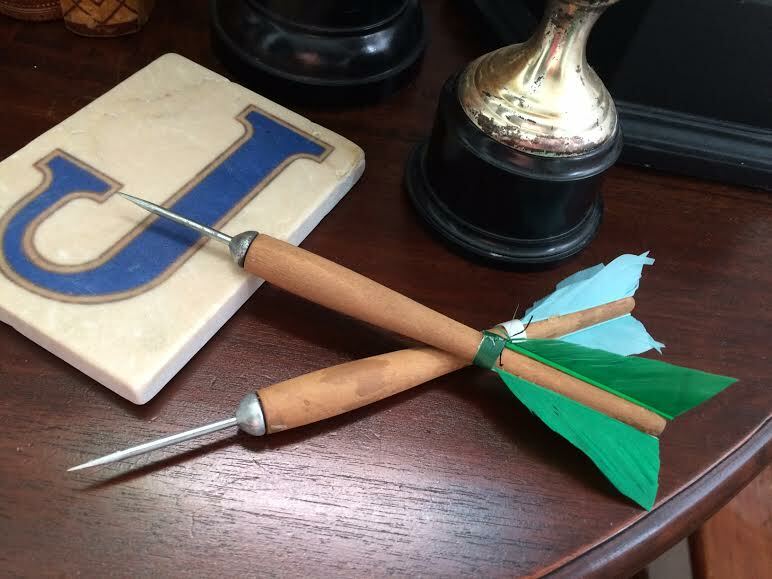 The vintage darts were purchased a few months ago from another Magazine Street fave, AKA Stella Gray. 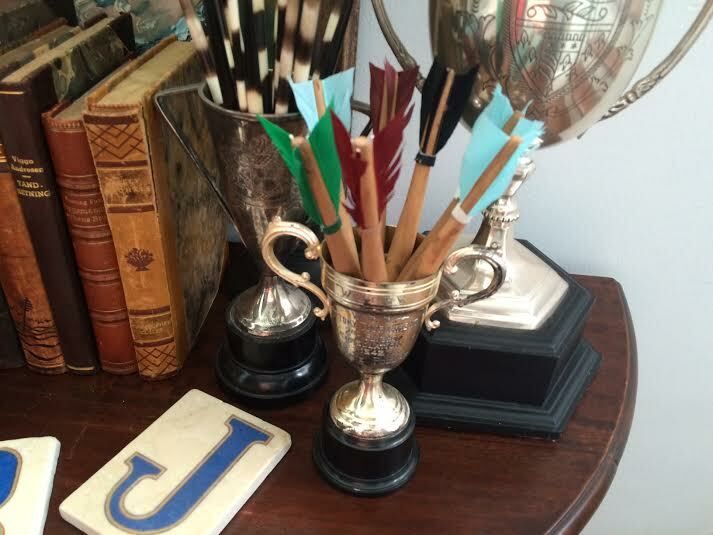 Along with a collection of feathers, these finds look perfect in my trophy cups. 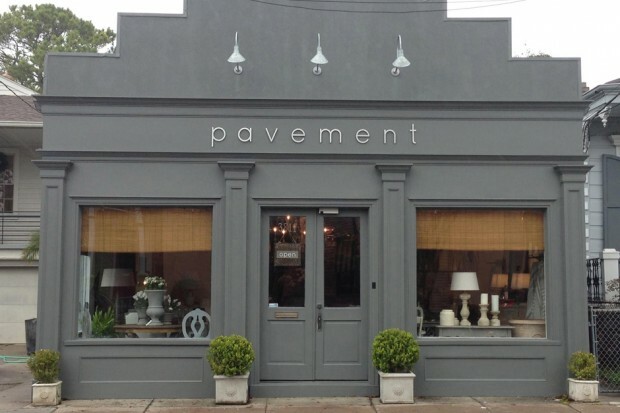 The cloche featuring bits of sea fan is from another Magazine Street fave, Pavement. I always find that vignettes tend to work better with vintage or natural finds. Lovely vignette Ron. Love all the different textures. 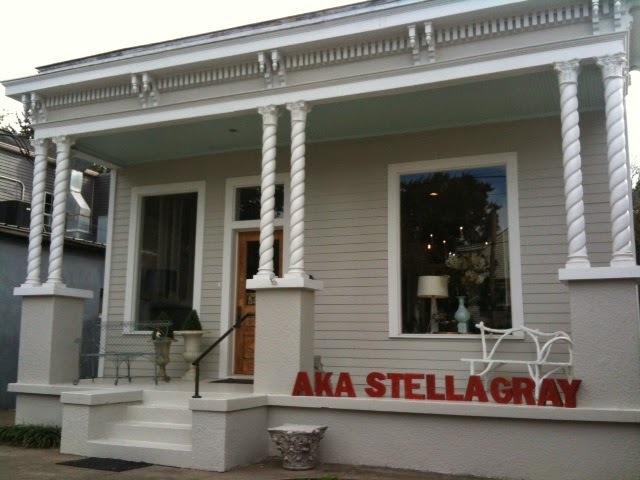 You have so many fabulous shops in NOLA. 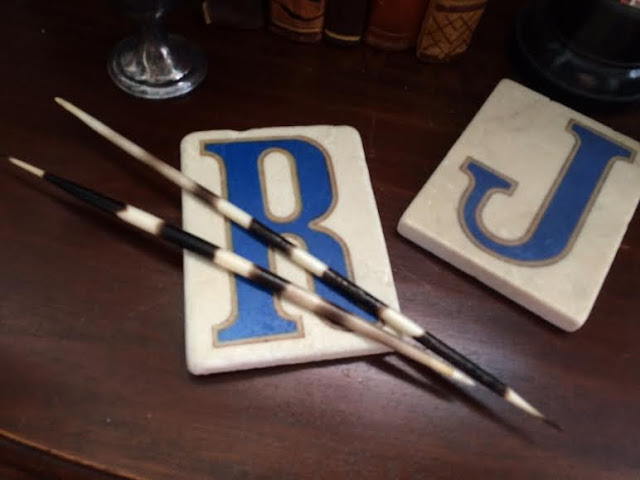 I could spend hours looking at your collectibles Ron! 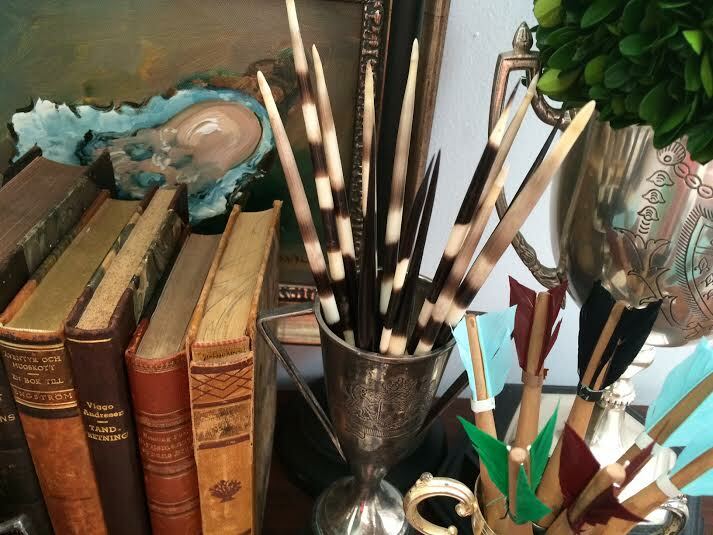 Everything looks sooo interesting and you seem to have the perfect touch in displaying such fun items! 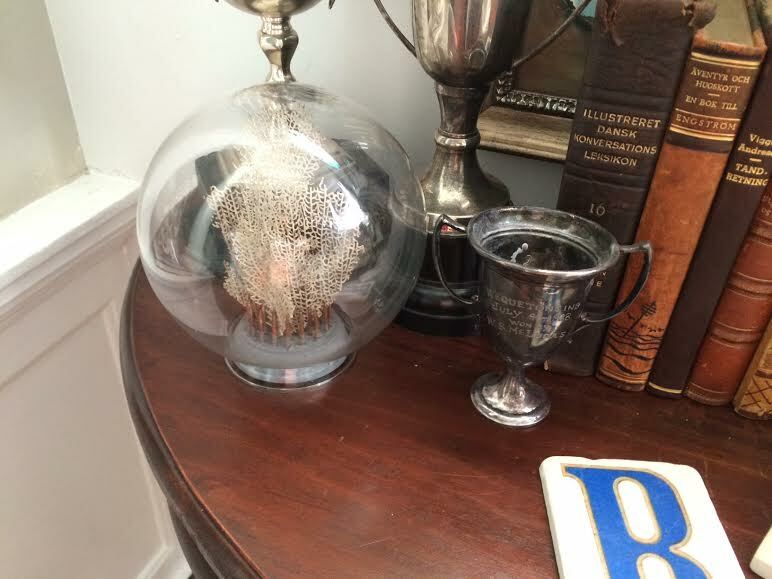 so wonderful, Ron, I really love those fabulous silver trophies! 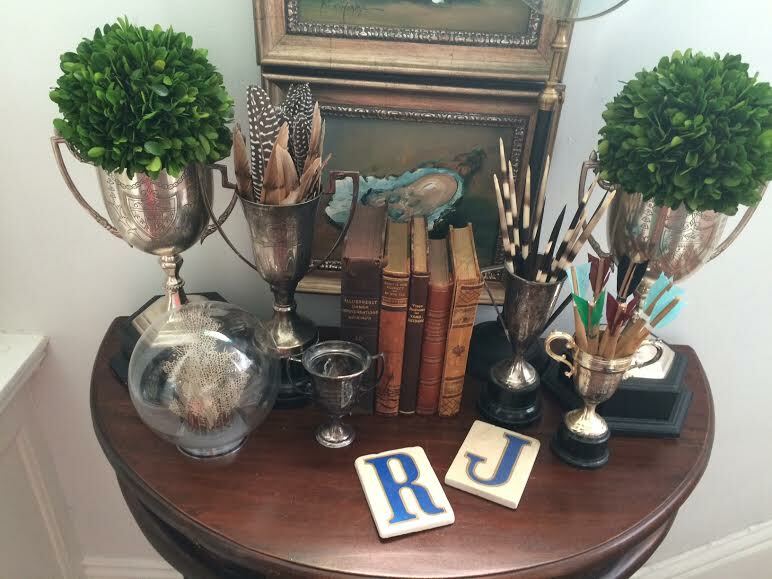 LOVE LOVE that vignette Ron!! Looks great Ron The quills add a nice eye catching accent! I especially like that sea fan under the glass. The vintage darts are classic! Your vignette looks amazing! Love the trophies and my, oh my...the oyster painting is gorgeous!